KNX 1070′s Margret Carrero reports the move marks the largest release of religious order documents in the history of the sexual abuse crisis. 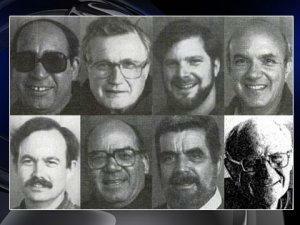 The 8,500-page documents posted on BishopAccountability.org includes personnel files of nine Franciscan brothers and priests accused of abusing dozens of children over several decades at St. Anthony's and the Old Mission in Santa Barbara. The files were released in response to a May 25, 2006, settlement obtained by survivors of sexual abuse committed by members of the order, including Bob Eckert, who was only 10 years old when his abuse began at St. Anthony's. "I just hope that people look into some of these files and maybe they can find things that may pertain to them or somebody that they entrusted their children with and maybe it will open their eyes," said Eckert. A mother's emotional letter from November 27, 1992, about the life-altering trauma cause by Cimmarrusti's abuse of her son in which she angrily condemns church officials for their lack of oversight was among other supplemental documents released. "What is more despicable than one who hides behind the 'cloth' to do the devil's work?" wrote the unidentified mother. "What organization, claiming to do the work of Jesus Christ, shuns and rejects those whom it has hurt, again and again?" "Just having blind faith isn't going to be able to happen anymore in the church," said Eckert. "It just shows how deep-rooted this problem is."